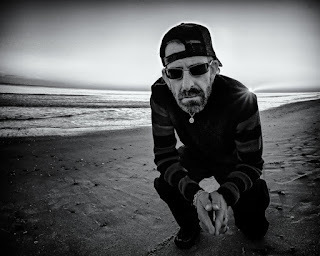 MetalRockNews: Lamb Of God's Randy Blythe about presidential campaign: "It's more like a professional wrestling match"
Lamb Of God's Randy Blythe about presidential campaign: "It's more like a professional wrestling match"
Lamb Of God singer Randy Blythe was recently interviewed by OC Weekly, you can read some excerpts below. About the current state of the world and the looming presidential election, he responded: "The election is looking pretty grim. Everything is a mess. From the train wreck that was the Republican party's nomination process… The establishment doesn't like who the nominee is. And it is pretty much the same with the Democrats; Hillary [Clinton] is having a hard time gaining traction over young people." He continued: "There was this obituary printed recently in the Richmond-area newspapers it went viral, but it said that a woman who died faced the prospect of voting for [Donald] Trump or Clinton, and chose to instead pass on and be with her Lord. I feel that way sometimes, I understand where that lady was coming from." Blythe added: "This election has changed the way things are going to run. There is not a lot of statesmanship coming out of anyone, particularly the Trump side. Anyone who communicates best in 140 characters or less is not someone I want running my country. It's more like a professional wrestling match, not a presidential election. So far, I am not impressed with either though, Clinton or Trump. As far as the world goes, I swing widely from day to day and even sometimes minute to minute. Sometimes I think this is the best thing in the world; others I think we're all going to Hell in a hand basket."